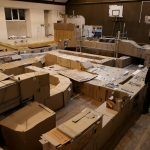 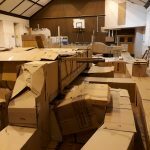 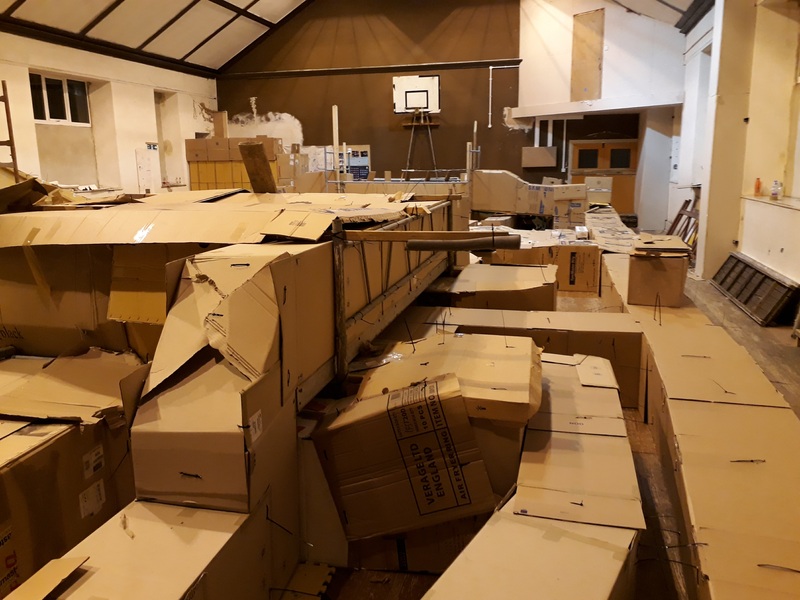 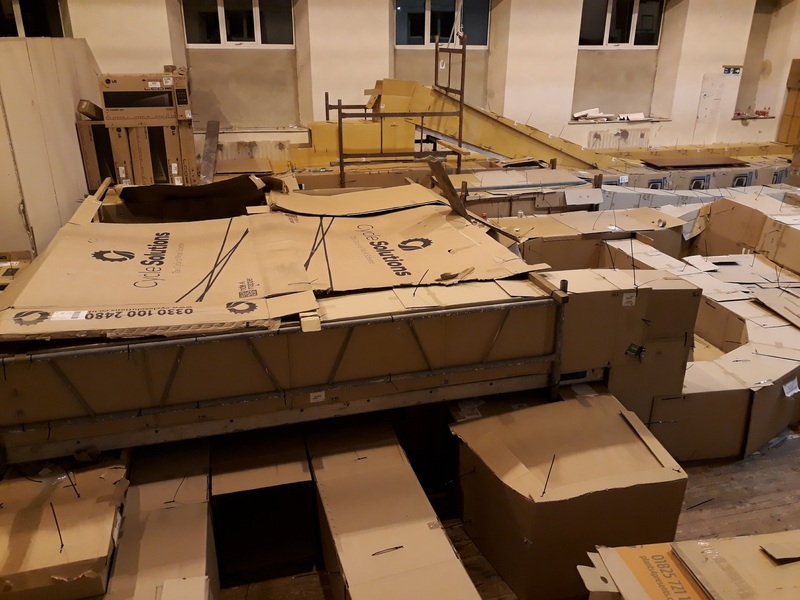 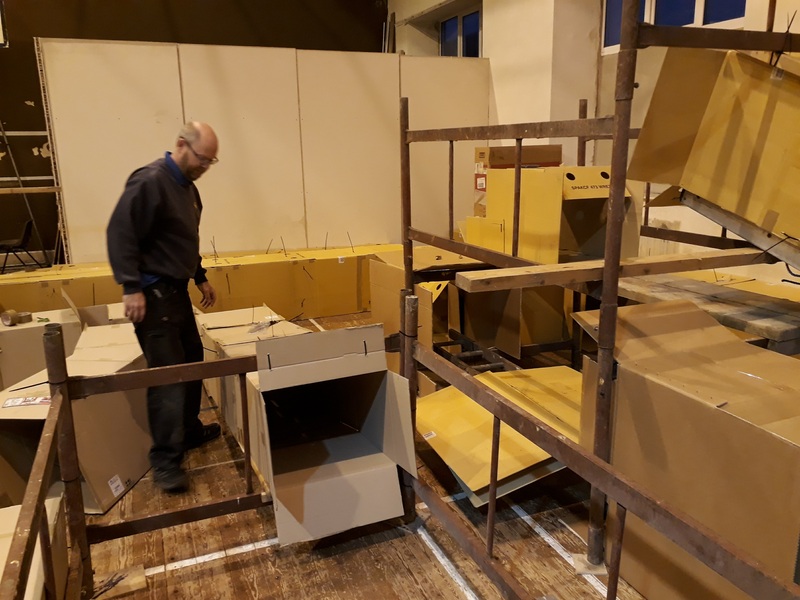 As part of our Centenary celebrations this year we decided it was time we once again converted the Carey Hall into an enormous indoor cardboard caving experience. 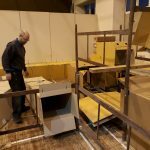 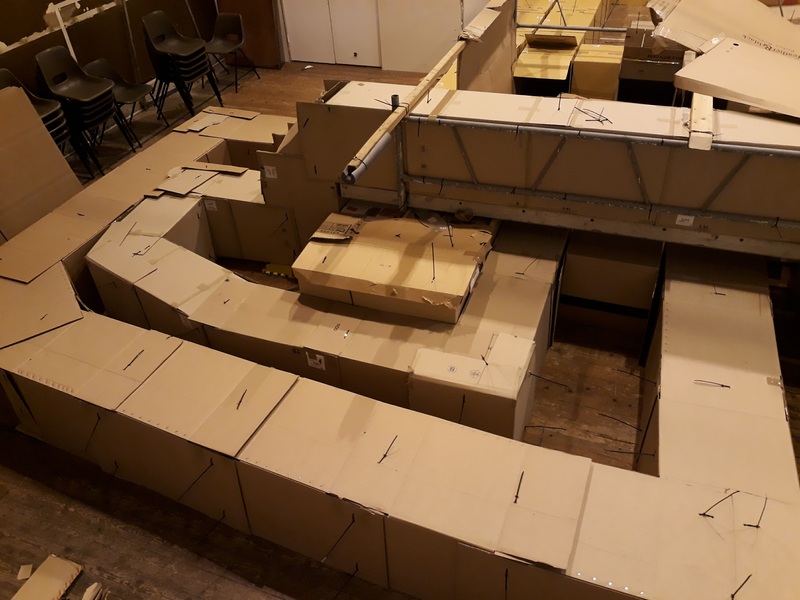 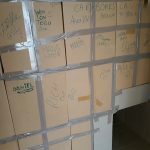 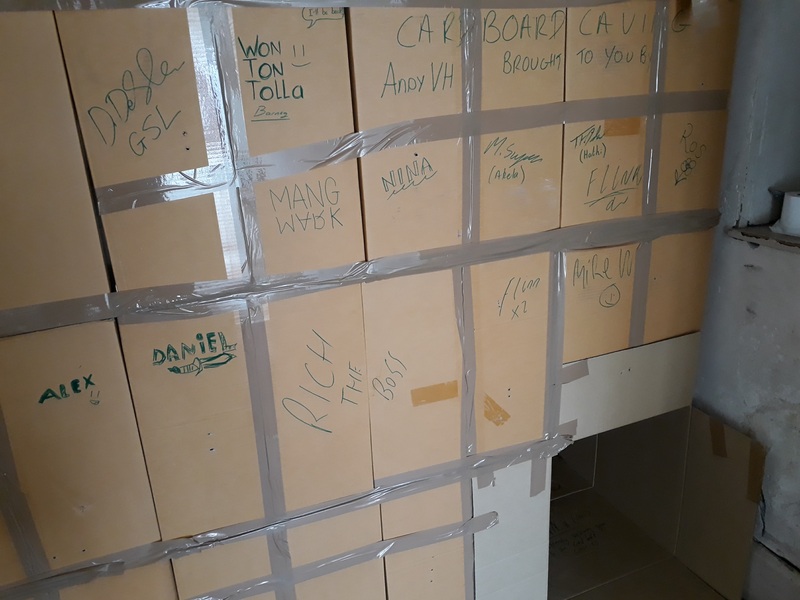 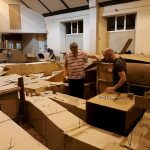 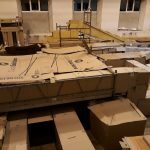 If you’re not familiar with cardboard caving, it basically involves creating a tunnel/maze system out of cardboard boxes that can be explored by young people. 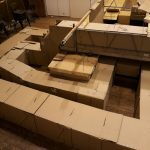 It’s a big undertaking and consequently we only do this every 4-5 years. 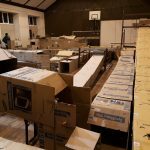 The photographs below don’t really do justice to the scale of the build or the amount of work that went into creating it. 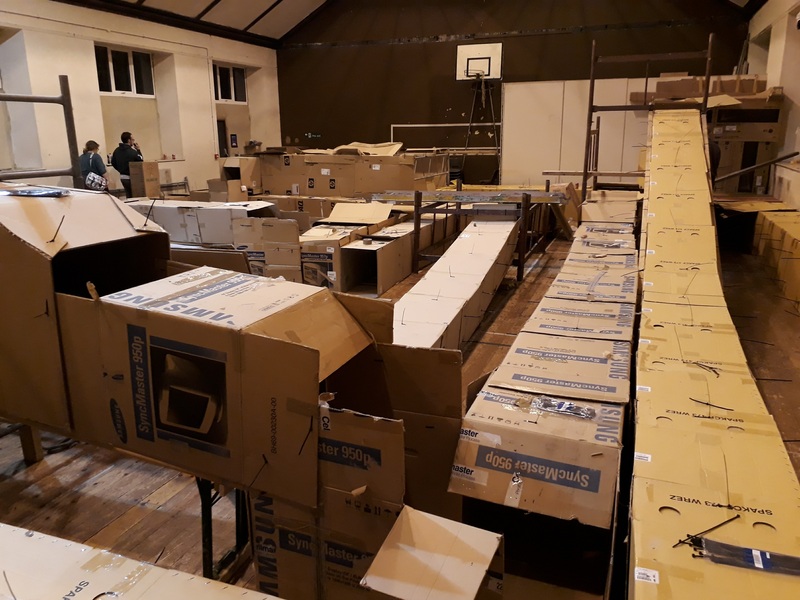 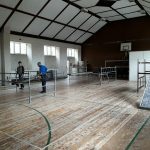 The build phase took place over a week with most of the work happening during the evenings and we are deeply grateful to all of the 91st Bristol leaders and parents who gave up their time to get stuck in. 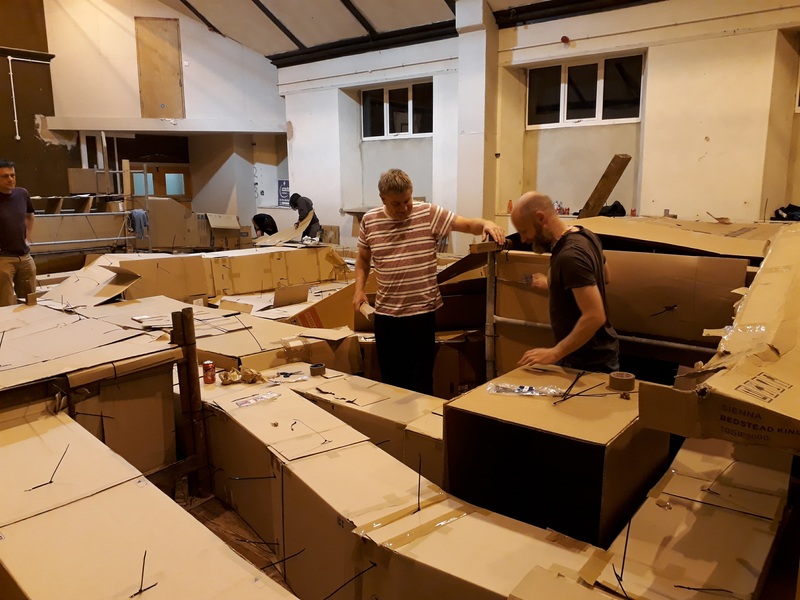 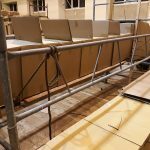 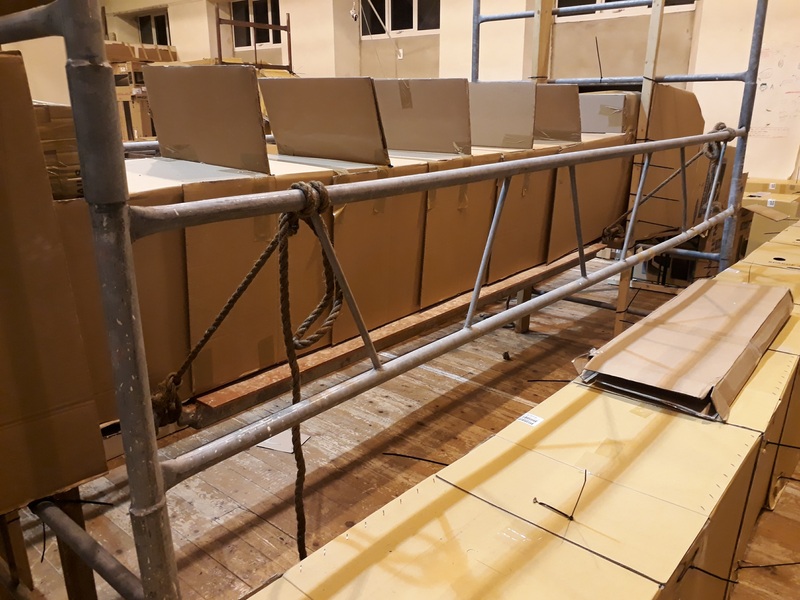 Special thanks go to the project leader Richard Tilley for leading the building as well as sourcing cardboard, transporting scaffolding, and creating so many of the special features. 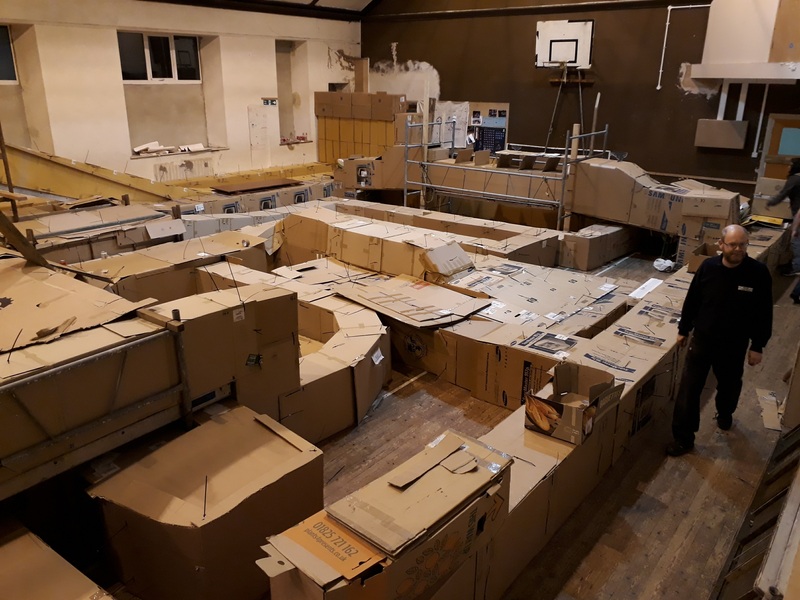 Our cardboard caving included a slide, a ballpond, a ‘secret’ room, a maze, a ladder scramble, and even our own swinging Clifton suspension bridge! 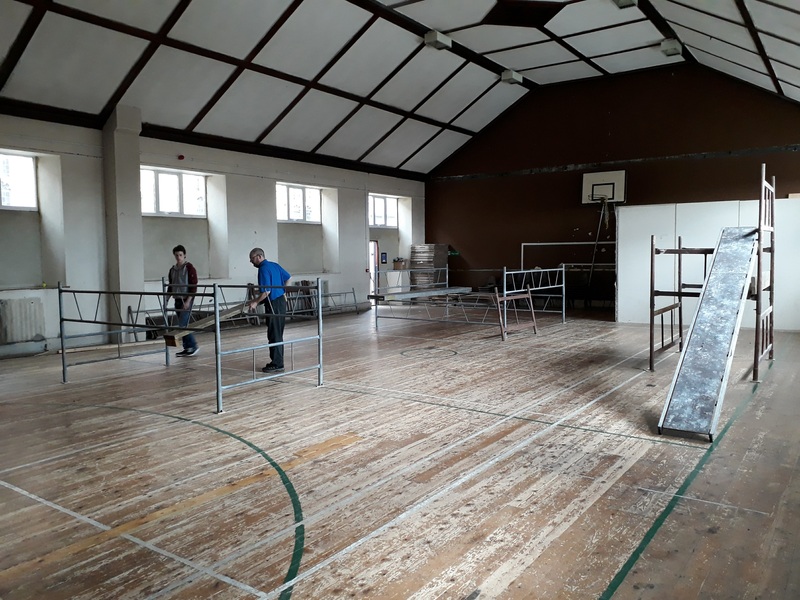 Once built, it is important that we get the most use possible before it all has to be dismantled again and, as well as our own Beavers, Cubs and Scouts, we were very happy to be able to host two other Scout groups from our district as well as our friends at 40th Bristol Rainbows, Brownies, and Guides.